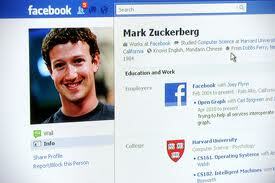 According to Weekly World News Mark Zuckerberg announced that Facebook will be shut down in March of 2012. Managing the site has become too stressful. “Facebook has gotten out of control,” said Zuckerberg in a press conference outside his Palo Alto office, “and the stress of managing this company has ruined my life. I need to put an end to all the madness.” Zuckerberg went on to explain that starting March 15th of next year (2012), users will no longer be able to access their Facebook accounts. That gives users (and Facebook addicts) a year to adjust to life without Facebook. “After March 15th, 2012 the whole website shuts down,” said Avrat Humarthi, Vice President of Technical Affairs at Facebook. “So if you ever want to see your pictures again, I recommend you take them off the internet. You won’t be able to get them back after Facebook goes out of business.” Zuckerberg said the decision to shut down Facebook was difficult, but that he does not think people will be upset. Those in the financial industry are criticizing Zuckerberg for walking away from a multibillion dollar franchise. Facebook is currently ranked as one of the wealthiest businesses in the world, with economists estimating its value at around 7.9 billion. But Zuckerberg remains unruffled by these accusations. He said he will stand by his decision to give Facebook the axe. “I don’t care about the money,” said Zuckerberg. “I just want my old life back.” The Facebook Corporation suggests that users remove all of their personal information from the website before March 15th, 2012. After that date, all photos, notes, links, and videos will be permanently erased.